Apple reports $770 million profit! Maybe now they can afford to fix the defective Mac that they sold me! By the way, the problem has gotten worse since I took this photo. 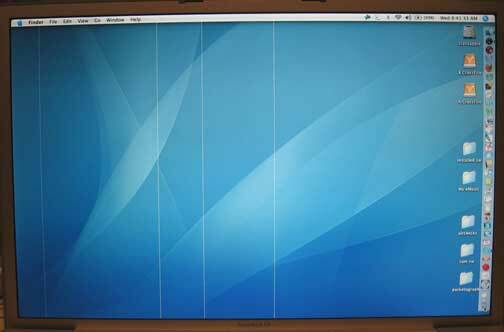 There are now 9 ugly vertical lines on my Powerbook display.